WolfPack volleyball placed third in the NJCAA division III National Tournament on Nov. 14 in Rochester, MN. Madison College came up just a few points short in its unprecedented quest to become the first team to win three straight NJCAA Division III volleyball national titles. 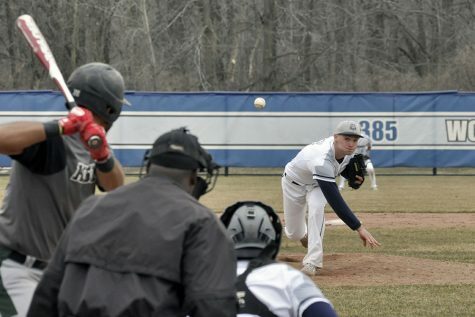 But the team showed true character in the way it rebounded from a gut-wrenching 3-2 semi-final loss to eventual champion Rochester Community and Technical College. Madison College defeated Monroe Community College, 3-1, in the third place game to secure the program’s fourth top three national finish. The victory gave the team it’s third-straight 30-win season, ending the year at an amazing 30-5. 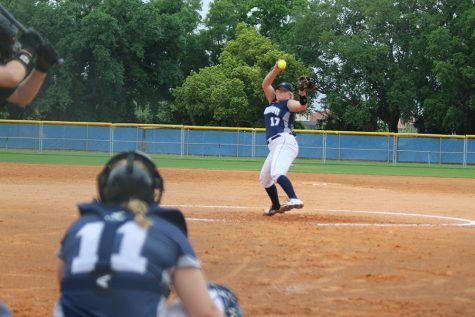 Second-year players Brianne Brueggen and Abby Loken received NJCAA Division III all-tournament honors for their outstanding play during the WolfPack’s three games in the national tournament. In addition, second-year hitter Allie Lehner and first-year libero Stevie Winer were named to the all-region team. Coach Toby Parker was selected as the region coach of the year. 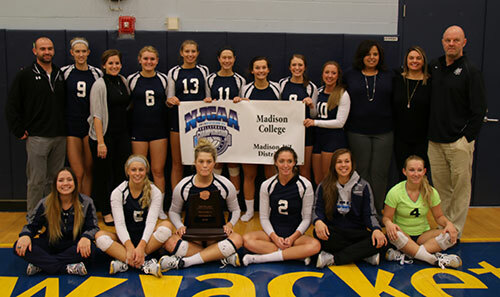 Madison College opened the national tournament on Nov. 13 with a dominant victory over No. 8 seeded Nassau Community College. The WolfPack posted a 25-14, 25-14, 25-12 victory. Winer led the team with 11 digs and four aces, while Brueggen had 18 assists. Andrea Bauer led the team in kills with seven. 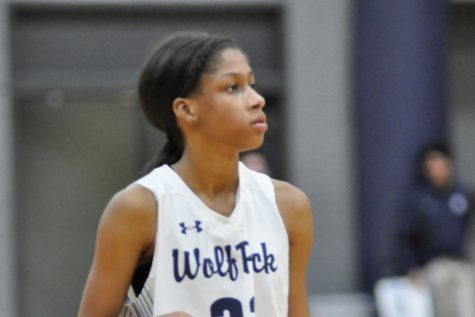 Madison College held a 2-1 lead before Rochester Community and Technical College rallied to win the last two sets and end the WolfPack’s run at a third-straight national title. The first two sets were extremely close. Madison College won the first, 25-22, and Rochester took the second set, 25-23. A 25-15 win in the third set put the WolfPack within a win of advancing, but Rochester won the next two sets, 25-18 and 16-14. Bauer had 22 kills to lead the WolfPack, while TeAnn Harms added 14 kills. Brueggen had 63 assists in the match, while Winer had 35 digs. Madison College started slow, dropping the first set, 25-21, but rallied back two win three straight sets, 25-21, 26-24, and 25-16, to beat Monroe Community College in the national tournament third-place game on Nov. 14. Loken led the WolfPack with 12 kills, while Lehner posted three blocks. Brueggen had 47 assists in the match, while Winer had 32 digs.